The Notos Piano Quartet performs chamber music from the late 19th and early 20th centuries on Classical IPR’s New Release of the Week. The album, called Hungarian Treasures, includes piano quartets by Hungarian composers Ernst von Dohnanyi and Bela Bartok and a string trio by Zoltan Kodaly. The centerpiece of this album is Bela Bartok’s piano quartet, which has not been performed for over 50 years. The quartet was composed in 1898 by a seventeen-year-old Bartok. He is thought to have composed it because he was so impressed with the piano quartet that his friend and colleague Ernst von Dohnanyi had written a couple of years earlier. Bartok performed his piano quartet once during his lifetime (he died in 1945), and it was performed once on a recital in Hungary in 1964. Since then, the manuscript has lain in an archive. When they finally found it, the quartet was delighted. “It was an overwhelming feeling, like the successful conclusion of a lengthy treasure hunt,” they state in the album’s liner notes. This album marks the first time Bartok’s quartet has ever been recorded. Dohnanyi’s piano quartet that inspired Bartok also appears on “Hungarian Treasures.” Dohnanyi was also a teenager when he composed his quartet in 1894. A contrasting piece on the album is an intermezzo for string trio in one movement by Zoltan Kodaly, composed in 1905. The members of the Notos Quartet have performed together since 2007. In May of this year, they received the silver medal at the 44th annual Fischoff National Chamber Music Competition. Next month, they will offer a master class at the Saigon (Vietnam) Chamber Music Festival. Then they begin a tour of Europe. When his mother Rosalie Savarino Edwards passed away in 2006, composer Stephen Edwards composed a Requiem mass in her honor. 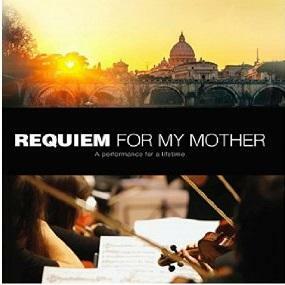 The premiere recording of Edwards’s Requiem for My Mother is Classical IPR’s New Release of the Week.